I am a professor of statistics (data analysis) at Tampere University, Faculty of Information Technology and Communication Sciences. Please see my webpage at Tampere University for up-to-date information. I continue to have strong collaboration with at Aalto University, Department of Computer Science, where I have been a visiting professor, and docent (adjunct professor) and where I have also been a PI of the Probabilistic Machine Learning research group. I was also previously an academy research fellow at the same department. I have also previously worked at University of Sheffield, Sheffield Institute for Translational Neuroscience, with Prof. Magnus Rattray and Prof. Neil Lawrence. 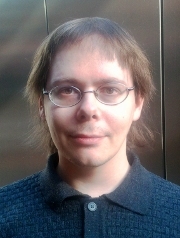 I am a member of the Centre of Excellence in Computational Inference Research COIN, Helsinki Institute for Information Technology HIIT, and the PASCAL2 Network of Excellence. My research interests include probabilistic generative and information-theoretic methods and formalisms such as information retrieval based dimensionality reduction, especially for application in visualization, clustering, and bioinformatics. I am an associate editor of Neural Processing Letters, editorial board member of Heliyon, and recently co-edited a special issue of Neurocomputing on machine learning for signal processing. I have been a program committee member for 33 conferences/workshops: DaWaK 2005-2008, the NIPS 2008 Learning from Multiple Sources Workshop, ISNN 2009, the NIPS 2009 workshop on Learning from Multiple Sources with Applications to Robotics, ISNN 2010, MLSP 2010, ISNN 2011, WSOM 2011, ICANN 2011, CIP 2012, MLSP 2012, ICANN 2012, ISNN 2012, the NC2 2012, 2013, 2014, 2015, and 2016 workshops, VAMP 2013, ICANN 2013, WSOM 2014, ESANN 2014, ICANN 2014, ESANN 2015, ICANN 2016, ESANN 2016, WSOM 2016, ICML 2016, ECML PKDD 2016, and ESANN 2017. I have been the publicity chair for AISTATS 2014, SCIA 2013, ICANN 2011 and WSOM 2011, the local publicity chair for MLSP 2010, and an organizer of the NIPS 2009 workshop on Learning from Multiple Sources with Applications to Robotics, organizer for VAMP'13, and publicity chair for the MLSS 2014 Iceland Machine Learning Summer School. I have reviewed for several journals listed below, and for 61 conferences so far (e.g. NIPS, ICML, ECML PKDD, MLSP, ICANN, ICASSP, DaWaK, Web Intelligence). Please see my webpage at Tampere University for up-to-date information. In Fall 2016 I lecture the course MTTTS16 Learning from Multiple Sources and the course MTTTS11 Master's Seminar and Thesis at University of Tampere. I am also one of the two responsible professors for the International Master's Degree Programme on Computational Big Data Analytics (CBDA). In Spring 2016 I lectured the course MTTTS11 Master's Seminar and Thesis and the course MTTTS17 Dimensionality Reduction and Visualization At University of Tampere. In Fall 2015 I lectured the course MTTTS16 Learning from Multiple Sources and the course MTTTS11 Master's Seminar and Thesis at University of Tampere. In Spring 2015 I lectured the course MTTS1 Dimensionality reduction and visualization and the course MTTTS2 Pro gradu thesis and seminar at University of Tampere. In Spring 2014 I lectured the course T-61.2020 From Data to Knowledge Project Assignment with Amaury Lendasse at Aalto, and the courses MTTS1 Dimensionality reduction and visualization and MTTTS2 Pro gradu thesis and seminar at University of Tampere. In Fall 2014 I lectured the course MTTS1 Learning from Multiple Sources and the course MTTTS2 Pro gradu thesis and seminar at University of Tampere. In Spring 2013 lectured the course T-61.5010 Information Visualization together with Francesco Corona, and the course T-61.2020 From Data to Knowledge Project Assignment. In Fall 2013 I lectured the course T-61.3050 Machine Learning: Basic Principles together with Ritabrata Dutta, and the special course T-61.6040 Advanced Course in Information Visualization together with Kerstin Bunte and Manuel Eugster. In Autumn 2012 I lectured the special course T-61.6040 Multi-view and Multi-task Learning together with Sohan Seth. In Autumn 2010 I lectured two courses at Aalto University: T-61.3040 Statistical Modeling of Signals (also several earlier semesters; 2010 with Amaury Lendasse) and T-61.6040 Learning from Multiple Sources (with Arto Klami). Earlier I lectured the course 582480 Machine Learning in Bioinformatics at University of Helsinki. Still earlier I was course assistant for several years on the course T-61.5030 Advanced Course in Neural Computing at Helsinki University of Technology. Jaakko Peltonen, Jarkko Venna, and Samuel Kaski. Visualizations for Assessing Convergence and Mixing of Markov Chain Monte Carlo Simulations. Computational Statistics and Data Analysis, 53:4453-4470, 2009. (abstract, preprint pdf, final version on publisher pages) © Elsevier B. V.
Elizaveta Zimina, Jyrki Nummenmaa, Kalervo Järvelin, Jaakko Peltonen, Kostas Stefanidis and Heikki Hyyrö. GQA: Grammatical Question Answering for RDF Data. In Proceedings of ESWC 2018, Extended Semantic Web Conference, accepted for publication, 2018. Md Hijbul Alam*, Jaakko Peltonen*, Jyrki Nummenmaa, and Kalervo Järvelin. Tree-structured Hierarchical Dirichlet Process. (* equal contributions) In Proceedings of DCAI 2018, 15th International Conference on Distributed Computing and Artificial Intelligence, accepted for publication, 2018. Samuel Kaski and Jaakko Peltonen. Learning from Relevant Tasks Only. In Joost N. Kok, Jacek Koronacki, Ramon Lopez de Mantaras, Stan Matwin, Dunja Mladenic, and Andrzej Skowron, editors, Machine Learning: ECML 2007 (Proceedings of the 18th European Conference on Machine Learning), Lecture Notes in Artificial Intelligence 4701, pages 608-615. Springer-Verlag, Berlin, Germany, 2007. (abstract, preprint pdf, final paper on Springer pages) © 2007 Springer-Verlag. Arto Klami, Jaakko Peltonen, and Samuel Kaski. Accurate self-organizing maps in learning metrics. In Pekka Ala-Siuru and Samuel Kaski, editors, Step 2002 -- Intelligence, The Art of Natural and Artificial, pages 41-49. Finnish Artificial Intelligence Society, 2002. Antti Honkela, Jaakko Peltonen, Hande Topa, Iryna Charapitsa, Filomena Matarese, Korbinian Grote, Hendrik G. Stunnenberg, George Reid, Neil Lawrence and Magnus Rattray. Genome-wide modelling of transcription kinetics reveals patterns of RNA production delays. In NIPS 2015 Workshop on Machine Learning in Computational Biology, 2015. Antti Honkela, Jaakko Peltonen, Hande Topa, Iryna Charapitsa, Filomena Matarese, Korbinian Grote, Hendrik G. Stunnenberg, George Reid, Neil D. Lawrence, and Magnus Rattray. Genome-wide modelling of transcription kinetics reveals patterns of RNA processing delays. ArXiv preprint, arXiv:1503.01081 [q-bio.GN], 2015. Jaakko Peltonen, Ali Faisal, Elisabeth Georgii, Johan Rung and Samuel Kaski. Toward computational cumulative biology by combining models of biological datasets. In NIPS 2014 Workshop on Machine Learning in Computational Biology, 2014. Tuukka Ruotsalo, Jaakko Peltonen, Manuel J. A. Eugster, Dorota Glowacka, Ksenia Konyushkova, Kumaripaba Athukorala, Ilkka Kosunen, Aki Reijonen, Petri Myllymaki, Giulio Jacucci, Samuel Kaski. Bayesian Optimization in Interactive Scientific Search. In NIPS 2014 Workshop on Bayesian Optimization in Academia and Industry, 2014. Kerstin Bunte, Matti Järvisalo, Jeremias Berg, Petri Myllymäki, Jaakko Peltonen and Samuel Kaski. Optimal Neighborhood Preserving Visualization by Maximum Satisfiability. In Proceedings of RCRA 2014, 21st RCRA International Workshop on Experimental Evaluation of Algorithms for Solving Problems with Combinatorial Explosion, 2014. Antti Kangasrääsiö, Dorota Glowacka, Tuukka Ruotsalo, Jaakko Peltonen, Manuel J. A. Eugster, Ksenia Konyushkova, Kumaripaba Athukorala, Ilkka Kosunen, Aki Reijonen, Petri Myllymäki, Giulio Jacucci, and Samuel Kaski. Interactive Visualization of Search Intent for Exploratory Information Retrieval. In ICML 2014 Workshop on Crowdsourcing and Human Computing, 2014. Ali Faisal, Jaakko Peltonen, Elisabeth Georgii, Johan Rung, and Samuel Kaski. Toward computational cumulative biology by combining models of biological datasets. ArXiv preprint, arXiv:1404.0329v1 [q-bio.QM], 2014. Tuukka Ruotsalo, Jaakko Peltonen, Aki Reijonen, Giulio Jacucci, Manuel J.A. Euster, and Samuel Kaski. IntentRadar: Interactive Search User Interface that Anticipates User's Search Intents. Refereed extended abstract (4 pages) in CHI Interactivity 2014, 2014. Jaakko Peltonen and Samuel Kaski. Generative modeling for maximizing precision and recall in information visualization. Technical Report TKK-ICS-R38, Aalto University School of Science and Technology, Department of Information and Computer Science, Espoo, Finland, November 2010. Tapani Raiko and Jaakko Peltonen. Application of UCT search to the connection games of Hex, Y, *Star, and Renkula! In proceedings of the Finnish Artificial Intelligence Conference (SteP 2008), Espoo, Finland, August 2008. See also the associated 3D boardgame. Mikko A. Uusitalo and Jaakko Peltonen. Nanocomputing with machine learning. Poster in Nanotech Northern Europe 2008 (NTNE 2008), 2008. Merja Oja, Jaakko Peltonen, Jonas Blomberg and Samuel Kaski. Estimating human endogeneous retrovirus activities in various tissues with a hidden Markov mixture model. Poster in Intelligent Systems for Molecular Biology & European Conference on Computational Biology 2007 (ISMB/ECCB 2007), Vienna, Austria, July 21-25, 2007. Jaakko Peltonen, Janne Sinkkonen, and Samuel Kaski. Finite Sequential Information Bottleneck (fsIB). Technical Report A74, Helsinki University of Technology, Publications in Computer and Information Science, Espoo, Finland, December 2003. Jaakko Peltonen. Data Exploration with Learning Metrics. D.Sc. thesis. Dissertations in Computer and Information Science, Report D7. Espoo, Finland, 2004. Award-winning: Doctoral thesis award of the Pattern Recognition Society of Finland, for the best Finnish doctoral thesis in the field of pattern recognition 2004-2005. Jaakko Peltonen. Self-organizing maps in learning metrics. Master's Thesis, Helsinki University of Technology, Department of Engineering Physics and Mathematics, 2001. Award-winning: Master's thesis award 2002 for best Finnish Master's thesis in technology, granted by Tekniikan Akateemisten Liitto TEK ry and Tekniska Föreningen i Finland TFiF r.f. This is a partial list of recent research talks I have given. PASCAL2 network, Google Scholar, IEEE Xplore, Lecture Notes in Computer Science (Springer), NIPS proceedings, KDnuggets, mldata.org data set repository.